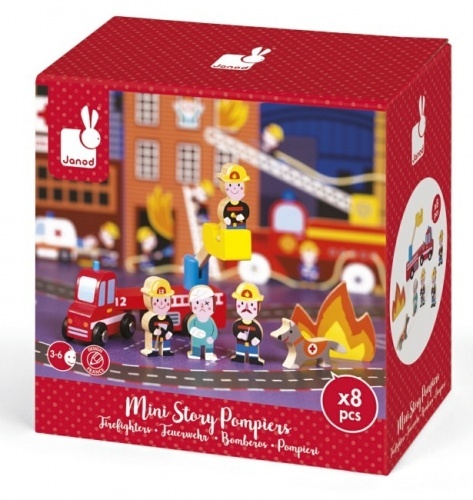 Commit feats of bravery with these firefighting friends on the Janod Story Express Firefighters Train Set, and watch your child immerse themselves in heroic roleplay. 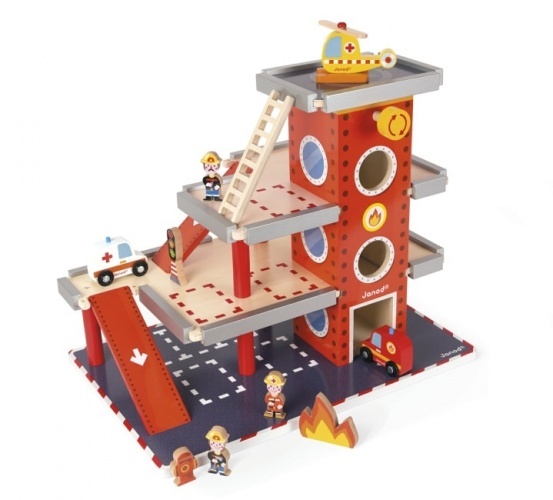 With a helicopter, fire engine and even a brave firefighting canine, this set has everything your little one needs to save their citizens from dangerous burning buildings. This beautifully made set has been handcrafted from the finest wood and cardboard and is suitable for children aged three and above.